(Proverbs 14:3) In the mouth of the foolish [is] a rod of pride: but the lips of the wise shall preserve them. (Proverbs 16:19-23) Better [it is to be] of an humble spirit with the lowly, than to divide the spoil with the proud. He that handleth a matter wisely shall find good: and whoso trusteth in the LORD, happy [is] he. The wise in heart shall be called prudent: and the sweetness of the lips increaseth learning. Understanding [is] a wellspring of life unto him that hath it: but the instruction of fools [is] folly. The heart of the wise teacheth his mouth, and addeth learning to his lips. (Proverbs 18:6, 7) A fool’s lips enter into contention, and his mouth calleth for strokes. A fool’s mouth [is] his destruction, and his lips [are] the snare of his soul. (Proverbs 15:1-7) A soft answer turneth away wrath: but grievous words stir up anger. The tongue of the wise useth knowledge aright: but the mouth of fools poureth out foolishness. The eyes of the LORD [are] in every place, beholding the evil and the good. A wholesome tongue [is] a tree of life: but perverseness therein [is] a breach in the spirit. A fool despiseth his father’s instruction: but he that regardeth reproof is prudent. In the house of the righteous [is] much treasure: but in the revenues of the wicked is trouble. The lips of the wise disperse knowledge: but the heart of the foolish [doeth] not so. (Proverbs 14:7, 8) Go from the presence of a foolish man, when thou perceivest not [in him] the lips of knowledge. The wisdom of the prudent [is] to understand his way: but the folly of fools [is] deceit. 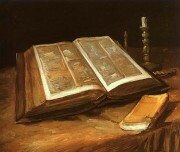 (Proverbs 14:15-18) The simple believeth every word: but the prudent [man] looketh well to his going. A wise [man] feareth, and departeth from evil: but the fool rageth, and is confident. [He that is] soon angry dealeth foolishly: and a man of wicked devices is hated. The simple inherit folly: but the prudent are crowned with knowledge. (Proverbs 13:14-16) The law of the wise [is] a fountain of life, to depart from the snares of death. Good understanding giveth favour: but the way of transgressors [is] hard. Every prudent [man] dealeth with knowledge: but a fool layeth open [his] folly. (Proverbs 26:4, 5) Answer not a fool according to his folly, lest thou also be like unto him. Answer a fool according to his folly, lest he be wise in his own conceit. (Proverbs 26:11, 12) As a dog returneth to his vomit, [so] a fool returneth to his folly. Seest thou a man wise in his own conceit? [there is] more hope of a fool than of him.